As Smith explained it, the bread — made with beremeal, which is flour from a centuries-old Scottish grain that’s mainly grown on the island of Orkney — encapsulates the cooking philosophy that drives this restaurant, which opened in June. 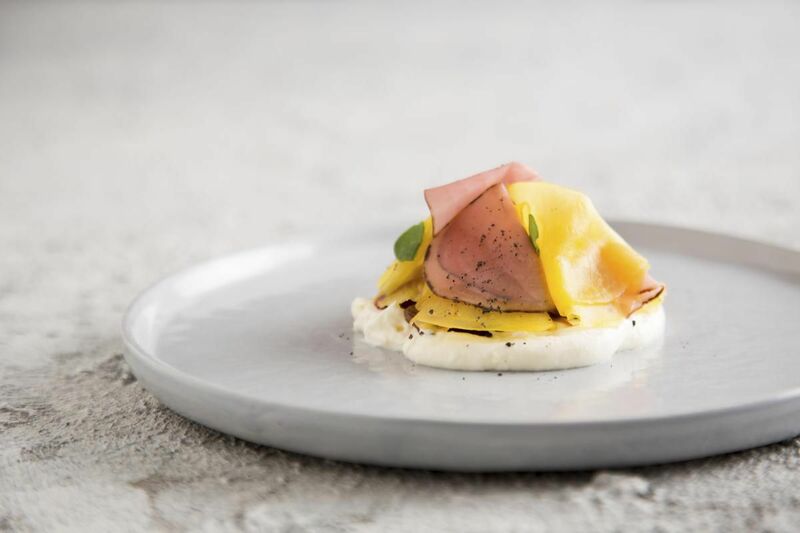 The restaurant, which Smith co-owns with his wife, Laura, focuses on as-local-as-possible Scottish ingredients done with Nordic touches and a Japanese-style esthetic. Meat can come from farms in the Shetland Islands or the Scottish Borders, seafood from northern Scotland and the produce is so local that some of it (recently, samphire, sea purslane and seaweed) is foraged by Smith himself. “Your creativity is heightened when you go out there and see what’s growing,” said Smith, who opened the restaurant after leaving Norn, which was named “Restaurant of the Year” by the Edinburgh Evening News just as he was leaving. As inventive as the dinner was, one of our favourite moments was when the waitress informed us that the restaurant sells its beremeal bread to the public on Saturdays. Of course we returned the next day — and just in the nick of time. All loaves were sold out in 15 minutes.